If you want to restrict the use of certain apps and settings on your iOS device, the restriction feature is the best choice. However, what to do if you forget your Restrictions passcode that you have set up on your device. It’s nearly impossible to reset your restrictions passcode with simple tips and tricks. So, if you are looking for a solution to bring up the restriction passcode, then this post will help you do that. 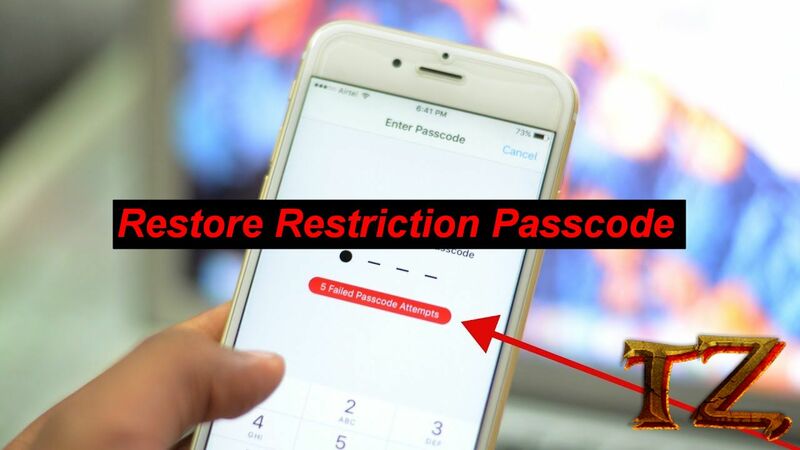 Once you know how to reset restrictions, you can then use this great feature without having to worry about forgetting your passcode. All you need is using a simple tool that is provided in this post to see your restriction passcode through an iTunes backup. Let’s see! The tool we’d like to introduce to you is the PINFINDER TOOL. Download it from the link below. This tool currently supports all iOS version, even the iOS 12 beta, so you don’t have to worry about the version on your iOS device.